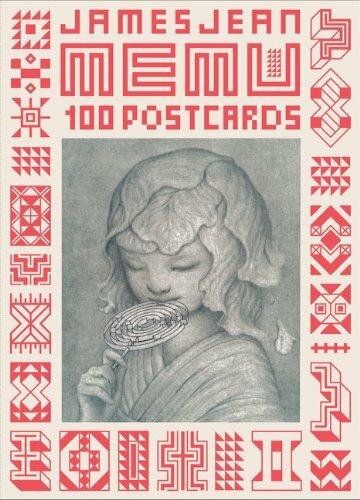 This is a truly wonderful box of postcards from James Jean. There are 100 postcards in a nicely designed canvas wrapped box. When you flip open the cover, you're presented with the postcards and a red ribbon by the side to help you take them out. Looking at each postcard just gives me a sense of awe and wonder. There are his surreal paintings as well as his intricate line drawings. Always a marvel to look at. Although I suggest if you want to look at them bigger, get his Rebus artbook. Some of the artworks have appeared in Rebus and the poster book Kindling. I spotted some new pieces as well. The artworks are exquisite. This is James Jean we are talking about after all. I'm not sure if you can bear sending these beautiful postcards out. It's really more of a collectible item than actual postcards. Remember these from the Kindling poster book? These look like a jigsaw puzzle but I can't put them together.